While the best espresso machines for home can be expensive, in the long run they can pay for themselves by making yourself your favorite java drink at home instead of buying it in a cafe. That is why we recommend that you spend a little extra money to purchase a quality espresso maker. There are models that can cost thousands of dollars, but plenty of options are available below $1000 or even a couple hundred dollars. There are several different types of machines ranging from manual to semi-automatic to completely automatic. There are also pod machines that are very convenient, but give you a little less control over the strength of your espresso. We reviewed all the top models and came up with our list of the best espresso machines found below. For our list we focused on units that cost less than $800. Below those espresso maker reviews we also provide a comparison chart for you to easily compare one model versus another. If you need some more advice please see our Espresso Machine Buying Guide. We selected the Breville BES870XL Barista Express as the best espresso machine. Priced around $550, this semi-automatic model is built for success whether you are making espresso, cappuccinos, lattes, or americanos. 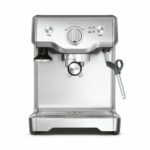 It includes professional-grade features like a 15 BAR pump, integrated grinder, temperature controls, swivel steam wand, and dedicated hot water dispenser. We like that it has a few more programmable controls to fine tune your settings than the Rancilio Silvia. The biggest drawback seems to be that it is a bit messy with coffee grounds spilling out frequently, but that issue is a minor one and should not detract from an otherwise outstanding espresso maker. Overall the Breville BES870XL Barista Express is a great blend of convenience plus customization to dial in your coffee just the way you like it. 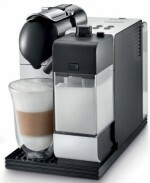 It is also the best-selling espresso machine on Amazon. Coming in a close second place is the Rancilio Silvia Espresso Machine. This semi-automatic high-end appliance, priced at $715, is easy to use, very well built, and has an almost cult like following among coffee connoisseurs on the internet. It features a 15 BAR heavy duty pump, all brass boiler with 3 thermostats for temperature control, 67 ounce water tank, and a commercial grade steam wand for milk frothing. About the only negative, besides the price, is that you need very precise grinds to get a good result, so a good coffee grinder is a must. Overall we highly recommend the Rancilio Silvia to all users, although it is the most expensive espresso machine on our list so their are cheaper options available. As with all the models on this list, you should watch an instructional video as to how to get the best results. If you don’t have a lot of space and want the best small espresso machine then you should consider the $500 Breville BES500 Bambino Plus. This compact espresso maker is just 12 inches tall by 7 inches wide. The Bambino Plus is simple, fast, and makes great espresso drinks in your home. With an instant-on thermocoil the BES500 is ready to brew in just a few seconds after startup. 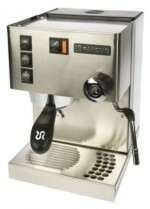 It is also equipped with an auto-frothing and temperature sensing steam wand for single-touch milk texturing. One slight negative is that the Bambino Plus only comes with pressurized baskets, either single or double, which works great for beginners, but limited for more advanced users. 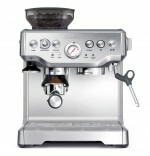 Overall we think the Breville BES500 Bambino Plus is the best espresso machine for beginners. If you are looking for a pod machine to make lattes and cappuccinos then the $299 Nespresso Lattissima Plus Original Espresso Machine is for you. All you have to do is fill the milk tank, put your cup under the spout, and insert a capsule. With the press of a button this machine will then automatically brew, steam, froth, and pour you a great cup of java all without making a mess. The one main negative is that this model only takes Nespresso coffee capsules. You also do not have control over the strength of your coffee, and while you can control the temperature of your milk, you may find you cannot get it as hot as you would like. Overall the Nespresso Lattissima Plus Original won’t wow you, but if convenience is your top priority than it is a perfect choice. 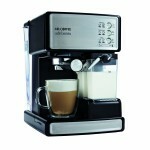 The Breville BES810BSS Duo Temp Pro Espresso Machine is a cheaper Breville option with a price of around $310. This semi-automatic machine pulls a rich, delicious shot and the manual steam wand works great, however it does not have any programmability for time or temperature. The Duo Temp has an internal PID to control the temperature and an auto-purge feature that after steaming automatically purges itself and adjusts the temperature back for brewing. It also features a quick start-up time, commercial grade stainless steel steam wand that swivels 360°, and pre-infusion of the coffee grounds. Overall the lower price point and quality espresso make the Breville BES810BSS Duo Temp Pro an attractive machine, however the lack of ability to dial in shots to your preference is a negative to anyone who wants that specific control. The DeLonghi Magnifica ESAM3300 is probably the best cheap super-automatic espresso machine you can find, costing around $515. This well built, reliable espresso maker is capable of making a variety of drinks and features a unique system that automatically grinds coffee beans right before brewing. The Magnifica’s stainless steel double boiler provides great heat distribution and makes your coffee at a consistent temperature no matter how long between cups. The front panel allows you to customize your coffee to how you like it by adjusting the amount of water and ground coffee. There are two main negatives to the Magnifica – it does not work well with oily beans and it is also really noisy when grinding. If you want a super-automatic espresso machine and don’t want to pay over $1000 than you should consider the DeLonghi Magnifica ESAM3300. 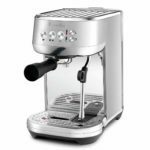 If you are looking for a cheap pod espresso machine then you might want the $150 Nespresso Vertuo Evoluo Coffee and Espresso Machine with Aeroccino. This machine uses Nespresso Vertuo pods and includes the Aeroccino 3 milk frother which lets you create the perfect finish to your single-serve coffee beverages such as a Cappuccino or Latte. It is the best-selling pod machine on Amazon. 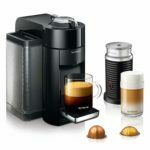 The Nespresso Vertuo Evoluo is super easy to use – just make sure the 54 ounce water tank is filled, insert a Nespresso Vertuo pod and press one button. In about a minute your coffee is ready. The pods come in two different capsule sizes – a large capsule for coffee and a small one for espresso. Overall the Nespresso Vertuo Evoluo Coffee and Espresso Machine with Aeroccino is a great choice for anyone who would like the ability to pour a cup of coffee or espresso with just one-touch of a button and not have the machine cost a fortune. 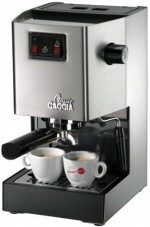 Designed in Italy, the Gaggia 14101 Classic is one of the best selling espresso machines of all-time and costs $349. It has commercial grade construction with a stainless steel housing, high voltage boiler, 17.5 BAR pump, and brass portafilter and grouphead. It is designed to pour two cups of java at once from either capsules or your own ground coffee. Overall it makes a great shot of espresso. However, it can be a little bit confusing and difficult to use at first so we recommend viewing videos online of how to properly use this model. Other negatives include no programmability and the steam wand performance is poor. The semi-automatic Mr. Coffee BVMC-ECMP1000 Cafe Barista is our pick for the best espresso machine under $200 that is not pod style. It comes with a more budget friendly price of about $145 and makes a variety of drinks from espresso to lattes to cappuccinos with the touch of one button. It is very easy to use and features 15 BAR pressure, a milk reservoir and automatic milk frother. It does not use pods, but makes a single or double-shot from grounds. On the downside the automatic controls give you less control over your shots. It also does not really foam that well, so it only creates mediocre lattes and cappuccinos. 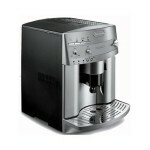 If you want the best cheap espresso machine then the Mr. Coffee BVMC-ECMP1000 Cafe Barista is for you. 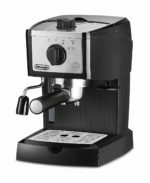 The best espresso machine under $100 without a doubt goes to the $99.99 DeLonghi EC155M Manual Espresso Machine. This compact machine has a tiny stainless steel boiler which provides a more stable temperature over similarly priced units with thermoblock designs. However, that small boiler means it takes longer for shots, the pressure drops quickly, and the the panarello steam wand underperforms. The EC155M is an upgrade over the original DeLonhi EC155 including a redesigned drip tray, portafilter lock built out of metal instead of plastic, and better ergonomics on knobs. The filter holder can hold either one or two shots, plus it can hold ESE (easy-serve espresso) pods. The end result is espresso that is decent, but far from great. Therefore the DeLonghi EC155M Manual Espresso Machine is more for casual users who want a cheap espresso maker, not for a coffee connoisseur. Espresso is made by forcing hot, 190-200 degrees F, pressurized water through finely ground and compacted coffee beans, often called a puck. This extracts more flavor, oils, and aromatics than any other brewing method and the result is a thick dark liquid topped off with a reddish-brown dense froth known as crema. A single shot is between 1.25 to 1.75 ounces with a double shot about 3 oz. An espresso machine really needs to do two things. Heat the water to the proper temperature between 90°C and 96°C and then pump the water through the coffee puck at a pressure of 9 BAR. How it goes about doing this is what separates the machines. Spring Levers – With this oldest system an operator pulls a lever which forces a piston through a cylinder to pressurize the water. Commercial level machines of this style use an uncoiling spring to power the piston. This system applies pressure smoothly without vibrations that motor pumps can cause, which results in slightly less crema, but a more pure taste with less bitterness. Rotary Pumps – Most commercial units use rotary pumps because they can produce enough flow at 9 BAR to serve multiple customers at the same time. You can precisely adjust the pressure on these machines and the flow rate will not effect the pressure. They are not really necessary for home models, although some users like the cleaner taste and adjustability of these types. Vibratory Pumps – Found in most home espresso makers, vibratory pumps are cheap small units that can pump just enough water at 9 BAR for a double espresso. They create more vibration which can lead to an uneven taste, but does produce a bit more crema. They create a pressure that is inverse to the rate of flow, which means a slower pouring shot will have far higher pressure and a faster pouring shot will have far lower pressures. Steam Driven – Cheap models typically use steam to generate the pressure, however this does not create true espresso with crema. We recommend staying away from this type unless cost is the utmost concern for you. Single Boiler – Many smaller home models have a single boiler which heats the water to the proper temperature for brewing. If they are not dual use, then they cannot provide steam for a steam wand. Single Boiler (Dual Use) – These types have two thermostats to control temperature for both brewing and steam. Since the temperature for steam is hotter, it takes time for this type of machine to switch between one mode to the other. Heat Exchanger – Many commercial and large home models use a heat exchanger. In this system a single boiler keeps water at steam temperature, but a coiled pipe inside of it holds the liquid for brewing which picks up some heat from the steam without rising too hot. These machines can be difficult at times to get the just right brewing temperature. The advantage of these units is that you can make shots and steam milk at the same time. Double Boiler – Most commercial and some high end home models use a double broiler which uses on broiler for brewing and a separate one for steam. This should result in very consistent temperatures for both features. Thermoblock – Many home models or cheap machines may use a thermoblock which is a heating element that does not store water, but instead water is flash heated as it passes through. You should really analyze the performance of any of these units, because some might not get to the proper pressure which results in a weak shot. Manual – A user must pull a lever and manually determine the amount of water to run through the coffee ground puck. Semi-Auto – Uses a pump instead of hand-power to deliver the water. The operator simply pushes a button to turn the pump on and off, meanwhile the boiler temperature controls are automated. Automatic – This machine regulates the amount of water that flows through the grounds automatically, turning the pump off when done. They usually still have the controls of a semi-auto to fall back on. Super Automatic – These machines grind the coffee beans, tamp them down, and extract the shot all automatically. The user only has to fill the hopper with coffee beans and add water to the tank unless it is hooked up to an incoming water line. They provide great convenience, but give the user less control in how they like their espresso made. In all models expect for super automatic machines, you still must grind the beans and tamp them down. This is an essential part in getting a great cup of espresso. One special type of espresso machine is one that accepts pods or capsules. In these types you put a pod in the unit then push a button to get your shot of espresso. This type is convenient and easy to clean, and the capsules can keep the coffee very fresh. However, most brands make you only use their particular pods. They also cost most more than ground coffee and you have less control over the strength of your shot. Some other features to look for include a movable steam arm, a removable water tank, and cup warmer.